Governor Baker is annoyed at stuff. How about fixing it? Governor Charlie Baker, who ran for office on a pledge to make state government work more efficiently, has developed a practice of distancing himself from “stuff” that doesn’t. For example, he’s “incredibly annoyed” and “incredibly frustrated” by a data breach at the Department of Revenue that allowed the personal information of thousands of people who pay child support to be sent inadvertently to other companies that do not employ them. This mistake potentially reveals the Social Security numbers and wage information of some 6,100 Massachusetts residents to people who should not have access to them. “I think it’s really important that DOR get this stuff right,” said Baker. It’s not the first time that Baker’s Department of Revenue got stuff wrong. Back in February, another revenue department data breach made private information from about 39,000 business taxpayers visible to other companies, including potential competitors. At the time, the Baker administration was less than transparent about what went wrong, when, and how. In response, Baker said he was “extremely disappointed” — about what, exactly, was less than clear. 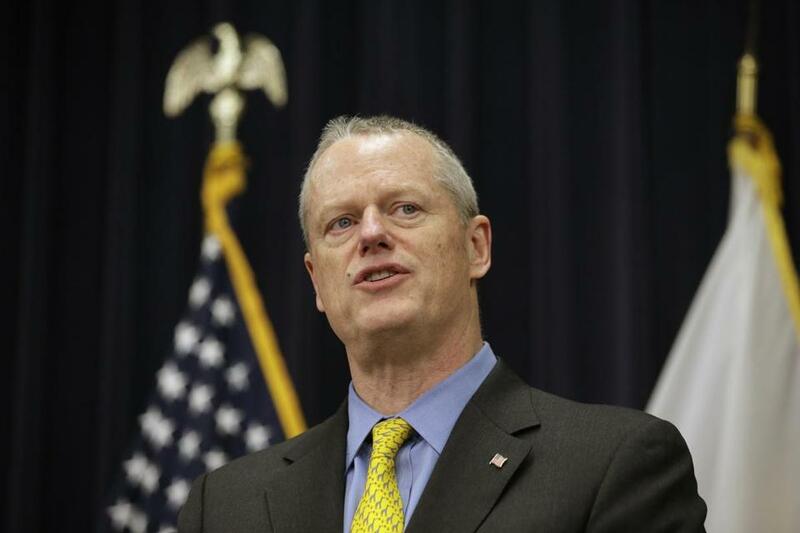 Governor Charlie Baker said Thursday he is “incredibly frustrated” by the cavalcade of troubles at the tax-collecting agency. When stuff goes wrong, the governor needs to take public responsibility for fixing it, not distance himself. Baker does deserve credit for carving out a role as a national leader in fighting opioid addiction. But the MBTA is still struggling. He can’t blame winter or Deval Patrick forever, and his habit of buck-passing is becoming, to use his words, incredibly annoying. Up for reelection this year, the Republican governor appears to be in a strong position to win a second term. Once again, a poll tags Baker as the most popular governor in America, with an approval rating of 71 percent. And according to a recent WBUR poll, Baker maintains a commanding lead over the three Democrats vying to run against him. Yet that same poll shows that when it comes to rating the details of Baker’s actual job performance, voters are not as enthusiastic as his overall approval rating would suggest. Asked to rate Baker’s performance when it comes to the State Police, 48 percent answered excellent or good; making state government function better, 44 percent; addressing the opioid crisis, 37 percent; improving the state’s roads and highways, 32 percent; reducing the cost of health care, 29 percent; and improving the MBTA, 28 percent. Given Baker’s image as a detail-driven, hands-on Governor Fix-It, he should take more responsibility for ongoing problems. Like it or not, he owns whatever happened over the past three years. That includes the good stuff — and the bad.